It is a quintessential Japanese scene. And hung from the eaves to dry. They make classic homemade sweets for the long winter. The persimmon trees drop all their leaves. They enter into their time of sleep. 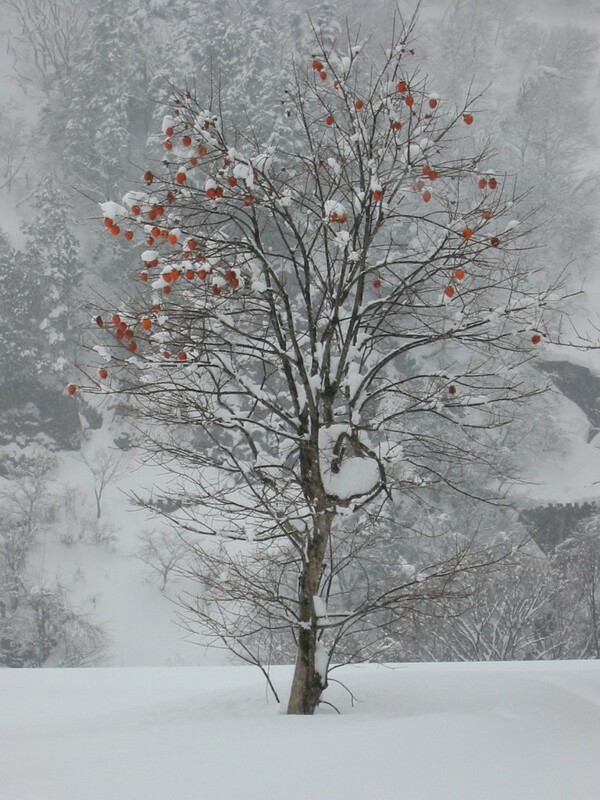 The unharvested persimmons remain on the branches. Unpeopled, pure white, snowy landscape. Around the unseen radioactive fallout.